Each level starts out with a case to solve, and some possible clues. 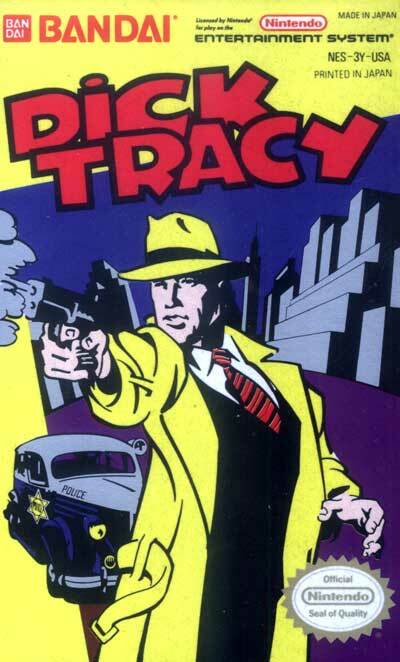 The player drives Tracy's vehicle through the city, avoiding snipers and other cars, to various locations mentioned in the clues, where the action shifts to a side-scrolling adventure game. If the player goes to the right location, he will find, during the course of his side-scrolling fighting, a clue icon that provides additional clues for the case, or the player will be able to speak with a character from the comics who give clues. There is one car chase in each level. Once the player has collected enough clues, he can drive to the location where the perpetrator is and arrest him.